- One Canadian child in five is living in poverty. per cent more than in 1989. 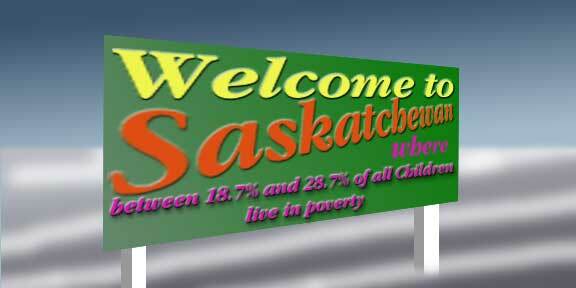 - The number of poor children was 48,300 in Saskatchewan. poverty rate was 25.1% for Newfoundland. those in the Yukon, Northwest Territories and Nunavut; and children living in institutions." children, native and not native.